A week later, I wondered it all over again as I read this article on Slate. It's apparently debunking an Elle magazine story that links food allergies and GMO corn. Shetterly is the protagonist of her article, and the plight she faced that spurred her to write this story is truly sad. She was plagued for years by a variety of debilitating symptoms from headaches to fatigue to hands frozen into claws by pain. She went from one doctor to another, but no cause was identified and no cure found. On the recommendation of her physician, she went to see Maine allergist Paris Mansmann. Shetterly showed symptoms, he concluded, of eosinophilic disorder—a multisystemic condition in which white blood cells overproduce in response to allergens. These abundant cells release enzymes that break down proteins, which in turn damage the esophagus, airways, or other organs. But what was causing the reaction? Mansmann opined that Shetterly’s condition could be the result of eating genetically modified (GMO) corn. According to Shetterly, the Maine physician suggested she strip all corn from her diet. Eosinophilic esophagitis is a very real condition. However, the primary symptoms of the disease are difficulty swallowing and reflux, not headaches and fatigue. The treatment for EoE is indeed to remove foods from one's diet. But the strong impression that was left behind by this article (and which is reflected in the polarized, scathing comments section) is that allergy sufferers are crazy hypochondriacs willing to accept any theory and that allergies aren't real. I've talked in other columns about how food allergies have been polarized. One of my earliest columns was about how popular entertainment likes to portray kids with allergies as wusses. But how in the world did food allergies completely devolve from a medical condition to the place we're in today? 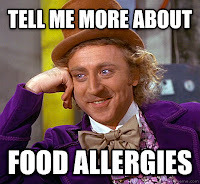 Is it possible to rationally discuss the possible causes of food allergies without being immediately branded a conspiracy theorist? Contempt. That's the only word that describes the current state of food allergy acceptance. Education actually seems to be resulting in less acceptance, not more. I did end up talking to my cousin and she did run through the expected litany of bees/fluoride/plastics, etc. But the most interesting part of the conversation to me was her husband's voice in the background. If the sound of eyeballs rolling was transmittable through the phone, that's what I swear I was hearing. It was really important to this man (a corporate lawyer and a very nice, level-headed guy) to let me know he was distancing himself from the crazy broad he married. We're getting a strong societal message here. 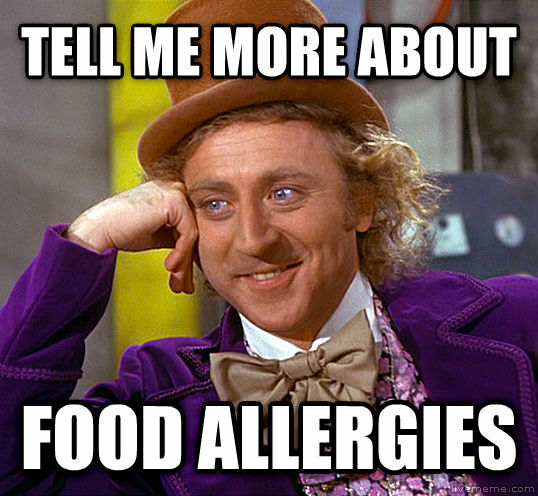 Don't talk about food allergies. Don't read about them. Don't consider the causes. Minimize them as much as possible. It's a political issue. It's a boring issue. No one is going to believe you anyway. How do our kids make sense of all this? They hide their allergies. THIS is why our teens are so much less safe than they could be. Don't believe me? Watch Louis CK's bit. He nails the contempt. Of course they would never hide their allergies and take big risks.